North Carolina artist P.A.T Junior’s momentum has been building since last August when he released his debut full-length album “Learning To Live (In A Day)”. In it P.A.T Junior showcased his versatility both lyrically and behind the boards. Now we have the “Black & Mild” EP, this six track project makes sense after hearing his recently released “Stepping Out The Batcave”. If “Learning To Live (In A Day)” are the trials and lessons learned, and “SOTB” is the rise from redemption, then “Black & Mild” is the acceptance of those trials. “Black & Mild” is P.A.T Junior heading into the next chapter of his journey, “always forward” the closer with thedeeepend reminds us that regardless of trials & tribulations, we must continue forward. P.AT Junior chose to move forward and it brought him “better days” and the EP I present to you here. Boosting features from thedeepend & ace henderson, “Black & Mild” continues to show P.A.T Junior’s vast set of skills in hip-hop. 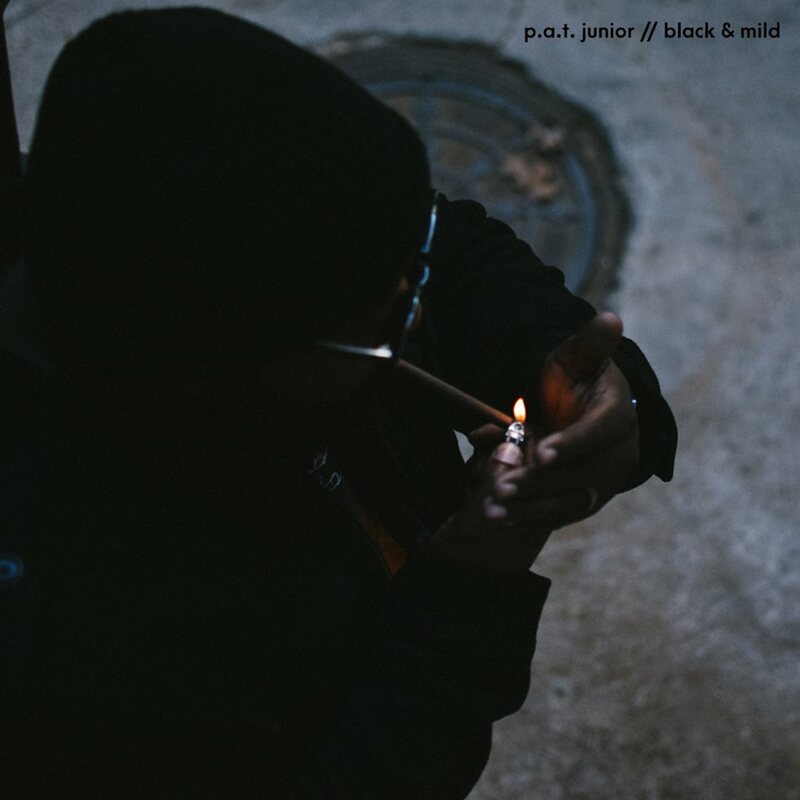 Never one dimensional, P.A.T Junior creates another sonically pleasing and thought-provoking release in “Black & Mild”.